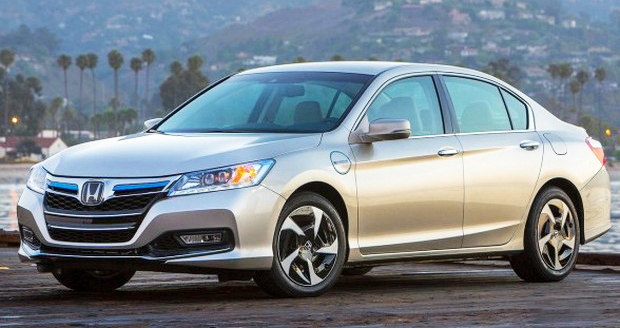 Honda is one of the safest and most reputable car manufacturers worldwide, and their vehicles are some of the most popular on the market. In 2002, the Honda Accord was redesigned and remodelled into two separate types: one was designed for the European and Japanese markets, and the other for North America. However, the cars were sold all over the world including Asia, New Zealand and Australia. In 2004, the car got a minor facelift, and today remains one of the most sought after older, secondhand cars. Why is the Honda Accord so Popular? Safety: Honda has become known for its incredible safety record, and the 2004 Accord is no different. It has a multitude of safety features that include a new seatbelt warning system. The V6 comes standard with front and side airbags with a new detection system, which senses if the seats are in the correct place to deploy the airbags without injury. Fuel Efficiency: The V6 is a fuel-efficient car that gives a good return for the speed and size of the engine. Speeding on the highway will result in an average 31 mpg, and when it is cruising slowly around town you can expect around 21 mpg. Price and Resale Value: The price for this car is modest for what you are getting. A midrange price for a high-end vehicle, and it has shown to keep about 60% of its value at resale. There are many reasons why this remains one of the most popular vehicles in the Honda Accord range, but as with any other vehicles, every now and then, it does encounter some problems. Transmission Slipping: One of the biggest and most costly problems in the Accord is transmission slipping. The problem normally starts occurring at around the 100,000 mile mark, and it can cost anywhere from £1,000–1,500 to replace, as it’s a huge job. The main problem inside the car is the failure of the backlight on the stereo. Honda was originally fixing the radios themselves, but the warranty will now be over, and you will be left to your own devices. Other problems were encountered with things like the locking system, the CD player, tearing of the seats, light failure, and glow compartment jams. While the Honda Accord is a brilliant car, these problems can become costly and with an older vehicle it may be in your best interest to scrap it. If your Honda Accord has seen better days, contact Scrap Car Kings today.